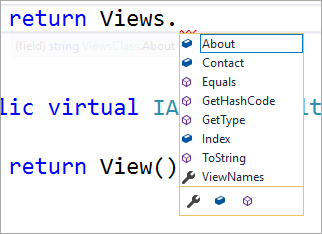 I've always loved the T4 text generator within Visual Studio. 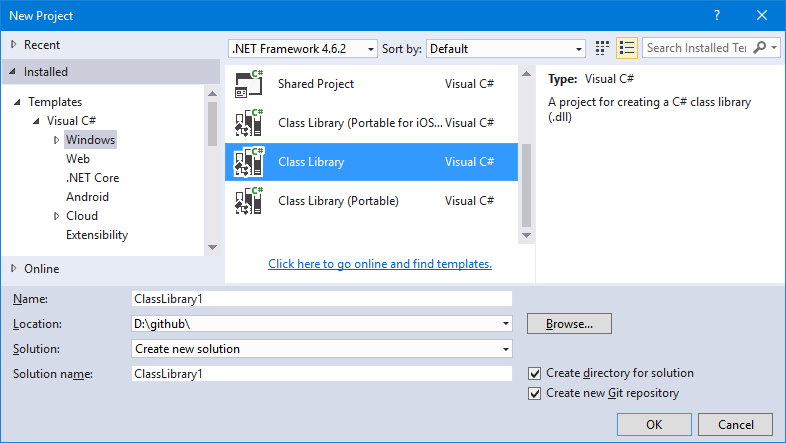 If you are looking for T4 within Visual Studio 2017 you need to install the "Visual Studio extension development" option within the installer to access it. However, T4 development seems stalled/done and if you want to utilize some of it. 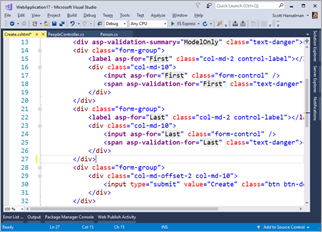 Fast forward to 2017 and that team is working on a new project called R4MVC...it's a code generator that's based on Roslyn, the .NET Compiler Platform (hence the R). It's generating the URL for that <a> tag using the method and parameter. 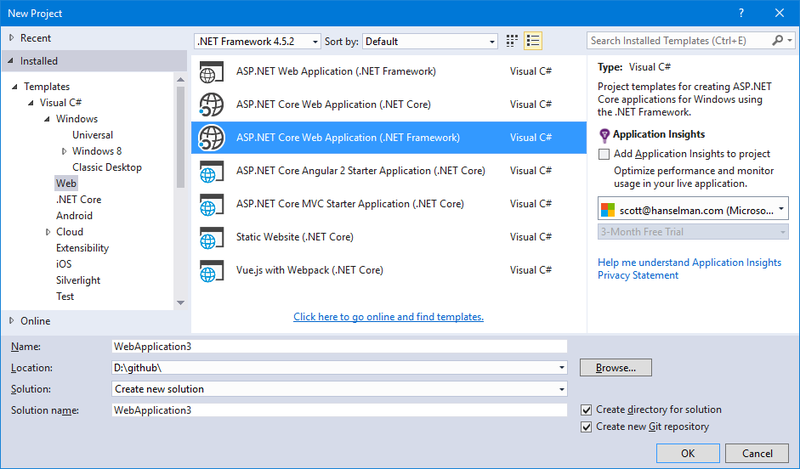 Using an ASP.NET Core 1.1 app (2.0 is coming soon they say) I'll add the NuGet packages R4Mvc.Tools and R4Mvc, making sure to "include prerelease." I'll run "Generate-R4MVC" in the Package Manager Console. This R4MVC project is just getting started, but I'm sure they'd appreciate your support! Head over to https://github.com/T4MVC/R4MVC/issues and learn about what they are planning and perhaps help out! What do you think? Do you think there's value in smarter or strongly-typed URL generation with ASP.NET? Sponsor: Raygun provides real time .NET error monitoring and supports all other major programming languages and frameworks too! Forget logs and support tickets. Reproduce software bugs in minutes with Raygun's error tracking software! 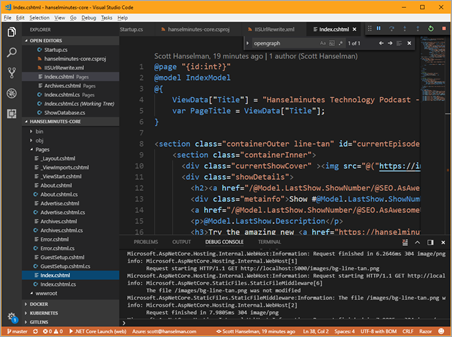 This little post is just a reminder that while Model Binding in ASP.NET is very cool, you should be aware of the properties (and semantics of those properties) that your object has, and whether or not your HTML form includes all your properties, or omits some. OK, that's a complex - and perhaps poorly written - sentence. Let me back up. Let's say you have this horrible class. Relax, yes, it's horrible. It's an example. It'll make sense in a moment. Then you've got an HTML Form in your view that lets folks create a Person. That form has text boxes/fields for First, and Last. ID is handled by the database on creation, and IsAdmin is a property that the user doesn't need to know about. Whatever. It's secret and internal. It could be Comment.IsApproved or Product.Discount. You get the idea. If a theoretical EvilUser found out that Person had an "IsAdmin" property, they could "overpost" and add a field to the HTTP POST and set IsAdmin=true. There's nothing in the code here to prevent that. ModelBinding makes your code simpler by handling the "left side -> right side" boring code of the past. That was all that code where you did myObject.Prop = Request.Form["something"]. You had lines and lines of code digging around in the QueryString or Form POST. Model Binding gets rid of that and looks at the properties of the object and lines them up with HTTP Form POST name/value pairs of the same names. NOTE: Just a friendly reminder that none of this "magic" is magic or is secret. You can even write your own custom model binders if you like. The point here is that folks need to be aware of the layers of abstraction when you use them. Yes, it's convenient, but it's hiding something from you, so you should know the side effects. Or, the correct answer. Don't let models that look like this get anywhere near the user. This is the case for ViewModels. Make a model that looks like the View. Then do the work. You can make the work easier with something like AutoMapper. Some folks find ViewModels to be too cumbersome for basic stuff. That's valid. There are those that are "All ViewModels All The Time," but I'm more practical. Use what works, use what's appropriate, but know what's happening underneath so you don't get some scriptkiddie overposting to your app and a bit getting flipped in your Model as a side effect. Use ViewModels when possible or reasonable, and when not, always whitelist your binding if the model doesn't line up one to one (1:1) with your HTML Form. Sponsor: Check out JetBrains Rider: a new cross-platform .NET IDE. Edit, refactor, test, build and debug ASP.NET, .NET Framework, .NET Core, or Unity applications. Learn more and get access to early builds! 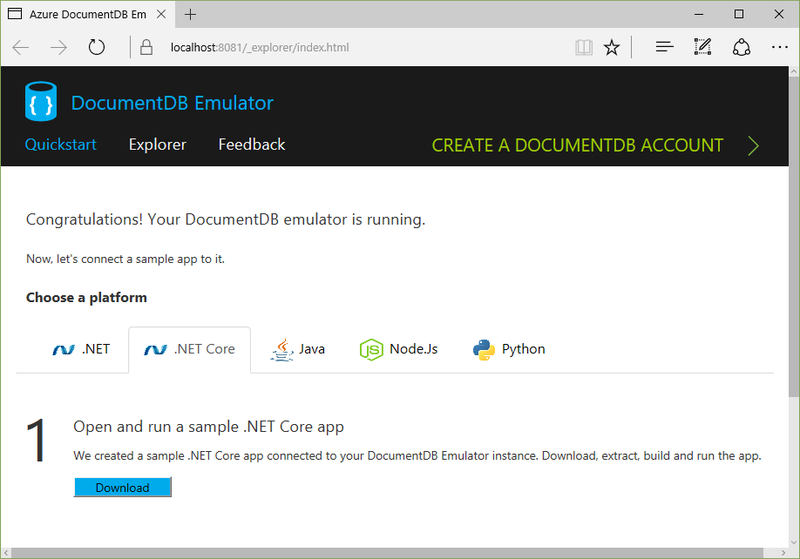 Free local DocumentDB Emulator - I asked and this is the SAME code that runs in Azure with just changes like using the local file system for persistence, etc. It's an "emulator" but it's really the essential same core engine code. There is no cost and no sign in for the local DocumentDB emulator. DocumentDB .NET Core Preview SDK that has feature parity with the .NET Framework SDK. There's also Node, .NET, Python, Java, and C++ SDKs for DocumentDB so it's nice for gaming on Unity, Web Apps, or any .NET App...including Xamarin mobile apps on iOS and Android which is why Miguel is so hype on it. I wanted to see how quickly I could get started. I spoke with the PM for the project on Azure Friday and downloaded and installed the local emulator. The lead on the project said it's Windows for now but they are looking for cross-platform solutions. After it was installed it popped up my web browser with a local web page - I wish more development tools would have such clean Quick Starts. 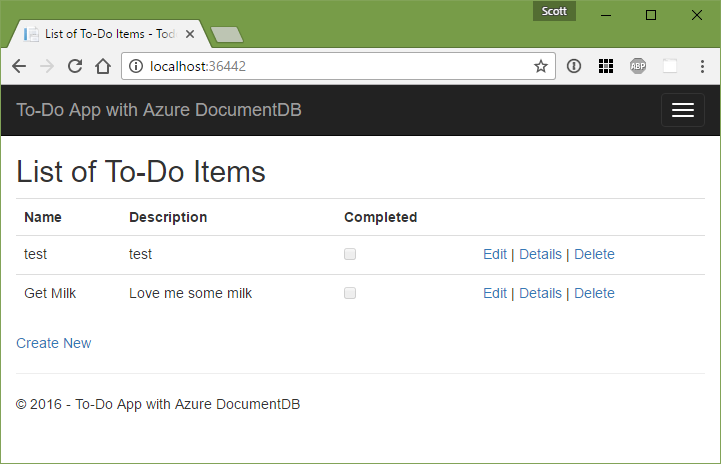 There's also a nice quick start on using DocumentDB with ASP.NET MVC. The Repository itself that's abstracting away the complexities is itself not that complex. It's like 120 lines of code, and really more like 60 when you remove whitespace and curly braces. And half of that is just initialization and setup. It's also DocumentDBRepository<T> so it's a generic you can change to meet your tastes and use it however you'd like. The only thing that stands out to me in this sample is the loop in GetItemsAsync that's hiding potential paging/chunking. It's nice you can pass in a predicate but I'll want to go and put in some paging logic for large collections. I'm going to keep playing with this but so far I'm pretty happy I can get this far while on an airplane. It's really easy (given I'm preferring NoSQL over SQL lately) to just through objects at it and store them. In another post I'm going to look at RavenDB, another great NoSQL Document Database that works on .NET Core that s also Open Source.